A genealogy chart or family tree chart records and illustrates your family’s lineage and ancestry. 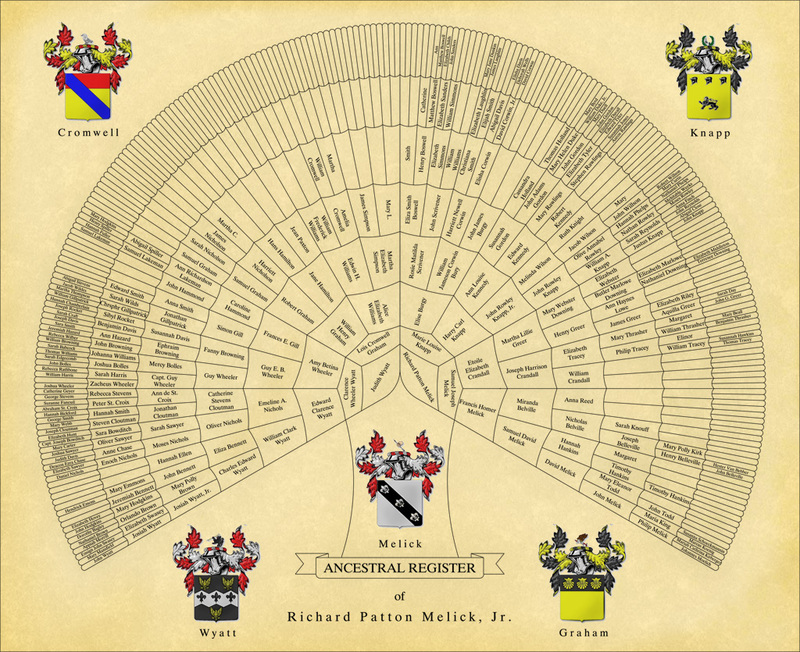 Melick Genealogists can help you research your family tree genealogical history and create a detailed, keepsake chart of your family history. Let us provide you with custom heirloom quality family tree charts. 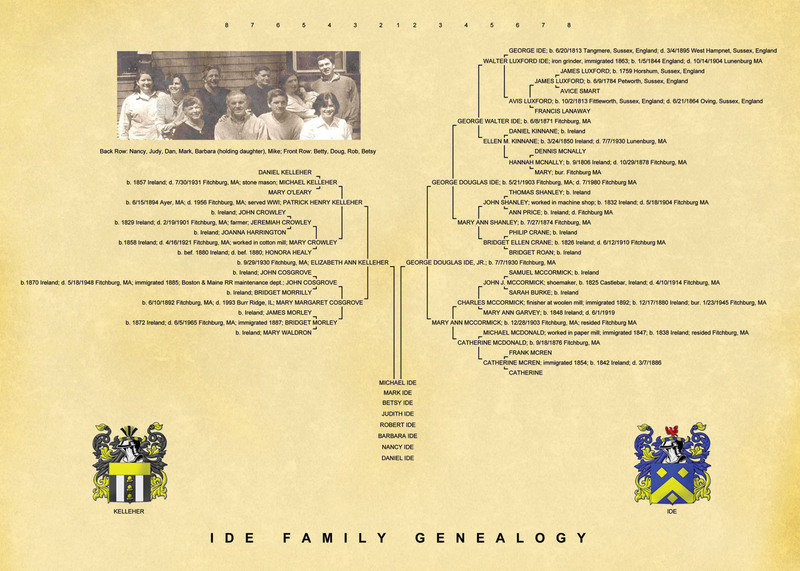 Please contact us for ancestry pedigree charts, family tree charts or genealogy charts depicting your family history. 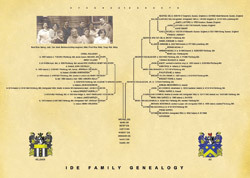 We offer a variety of family tree designs; samples of charts are showcased below. 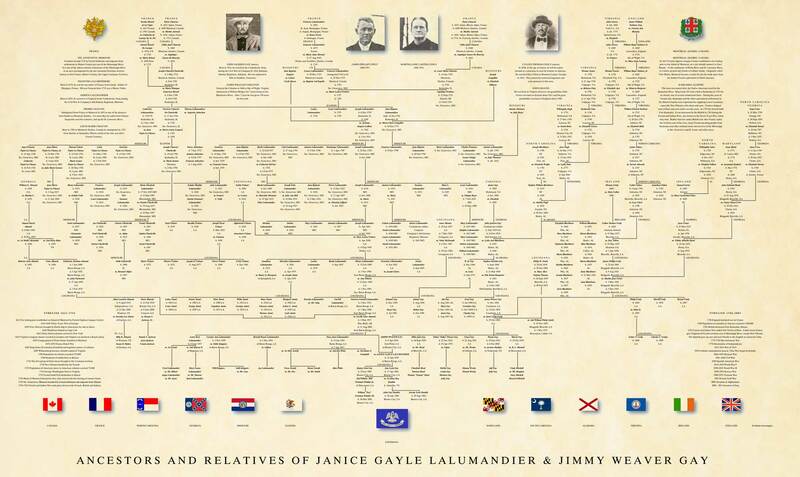 Unlike any other professional genealogists in the world, we merge the science of genealogical research with heirloom quality family charts depicting your genealogy and family history. Genealogical research can be an amazing gift to yourself and your family members. Knowing your family history and bringing it alive in charts is one of the great joys of professional genealogy. Beyond that, we specialize in taking that concrete knowledge and transforming it into beautiful professional genealogy pedigree charts that are a microcosm of the genealogy research we do for you. 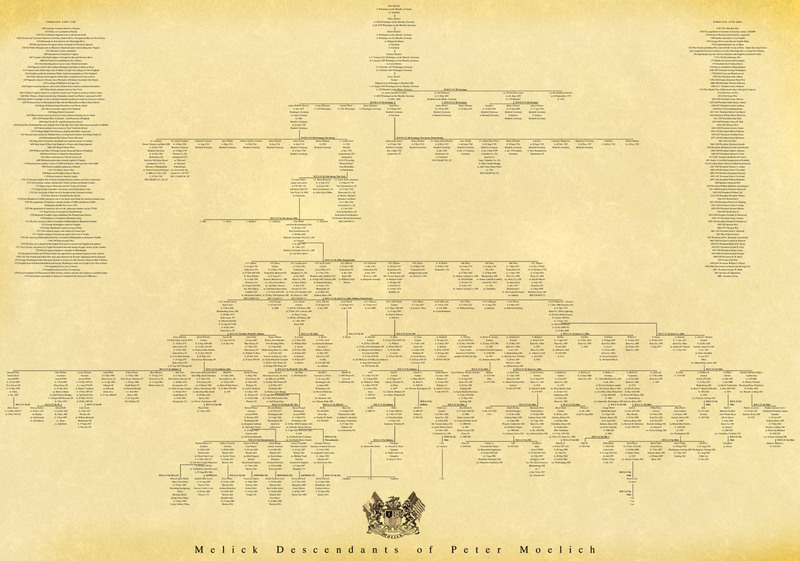 Vertical family pedigree chart depicting paternal and maternal lineage. 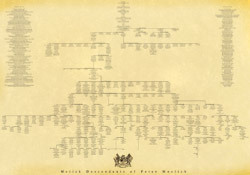 Bow tie genealogy pedigree chart depicting the paternal and maternal ancestors with their vital statistics and a photograph of the family. Genealogy fan chart depicting paternal and maternal ancestors. This family tree genealogy chart can also include family histories in the upper left and right corners in place of the coat of arms. 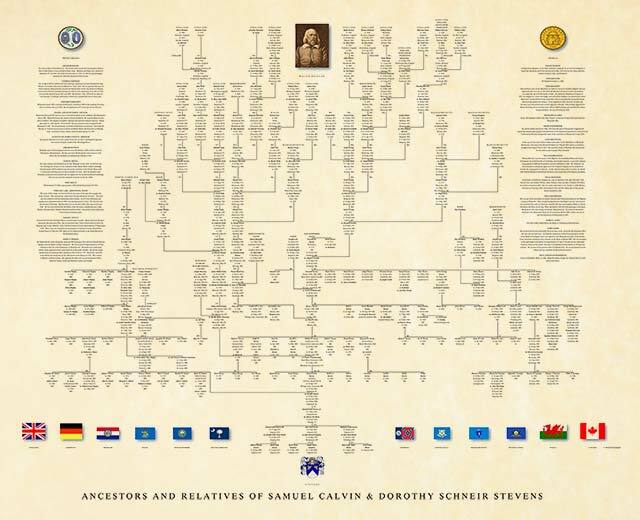 Descendant family tree genealogy chart depicting descendants, with vital statistics of an ancient ancestor including a timeline from the 15th century to present for historical reference. 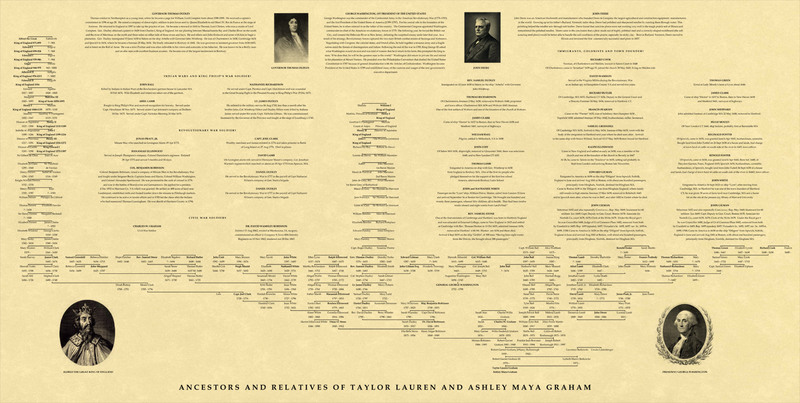 Vertical genealogy pedigree chart depicting ancestors and relatives along with biographies and photos of selected family members. 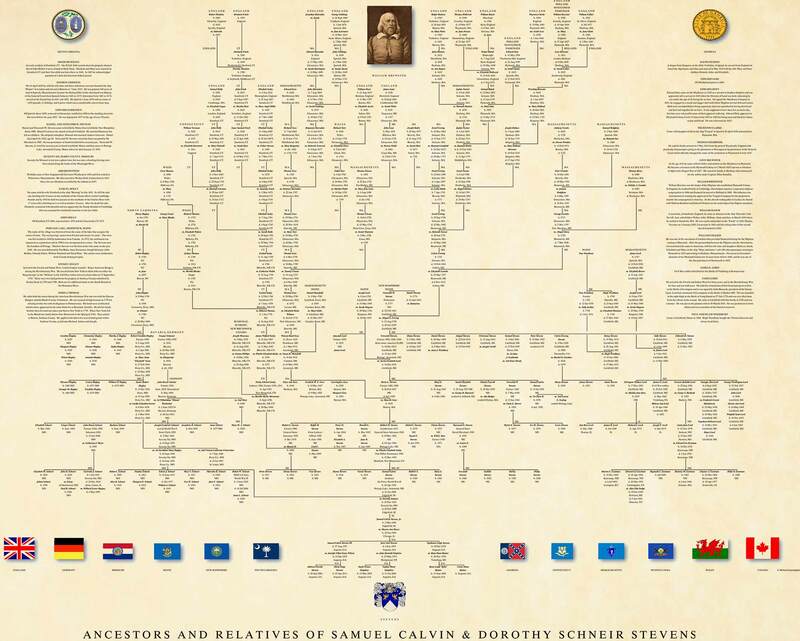 A family genealogy chart with pictures is a great way to visually diagram a family history. 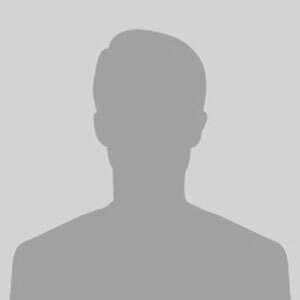 famous people who are relatives or ancestors. 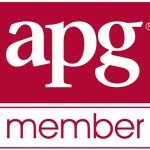 To learn more about us please see our pricing & gift ideas and professional genealogists and check out our genealogy blogs.